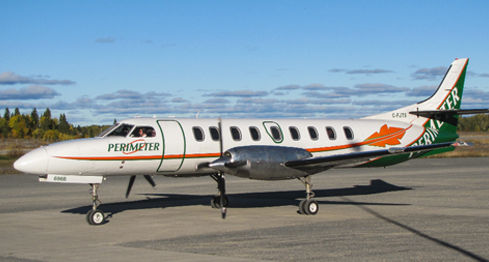 The Fairchild Metroliner III (Metro III for short) is our third largest aircraft, capable of transporting up to 19 passengers per flight. With a cruising speed of 300 mph, and a range of 1700 statute miles, the Metro III is the second fastest aircraft with the longest range in our fleet. It is easily capable of flying non-stop to any destination in North America, including airstrips with short gravel runways in adverse weather conditions. Recently, we have taken the initiative to be the first aviation company in the world to install Garmin 950 (G950) glass cockpit avionics packages into our Metro III aircraft, which dramatically improves situational awareness, making it easier and safer for pilots to fly (and land) in poor visibility / bad weather conditions. Payload For a 200 statute mile trip the payload is 3,800lbs. For every additional 100SM, reduce payload by 250lbs.